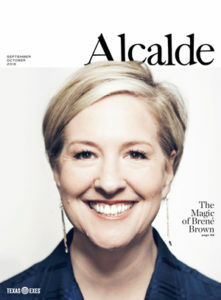 The Alcalde is mailed to more than 106,000 proud Texas Exes. Median household income is $96, 990 and 31 percent have a net worth of $1 million or more. The Alcalde covers the state of Texas and penetrates the four major metropolitan areas. Make the valuable market of Texas Exes work for your business! Kristin Terk Belt at 512-970-8139 or kbelt@kbmediainc.com. DEADLINES: Space-reservation deadlines are generally on the 25th of the second month (about six weeks) prior to the publication date. Ex: space reservations for the September/October issue (publication date Sept. 1) is July 25. The materials deadline is generally five days later, on or near the first of the month prior to the month of publication. See the Alcalde 2019 media kit.